Picture 14D-7. 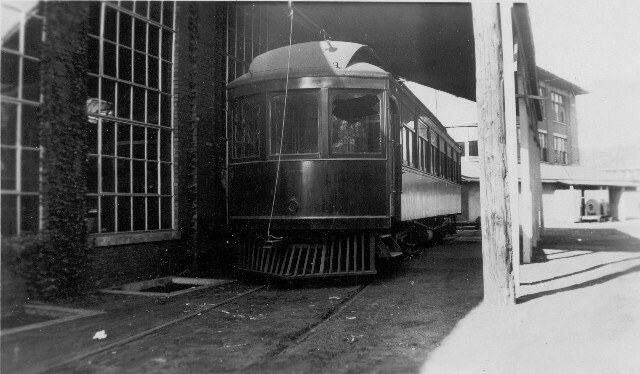 A snapshot of the test car taken May 7, 1939. The car is hiding from the elements under a shed next to the Locomotive Testing Laboratory. Note the broken left front window. The unknown photographer has recorded that the car body was green, but has left us no explanation for the window.